What does that song mean? Where did the idea of it come from? The Bible reference is: Luke 6:47-49 NLT says: I will show you what it’s like when someone comes to Me, listens to My teaching, and then follows it. It is like a person building a house who digs deep and lays the foundation on sold rock. When the floodwaters rise and break against that house, it stands firm because it is well built. But anyone who hears and doesn’t obey is like a person who builds a house without a foundation. When the floods sweep down against that house, it will collapse into a heap of ruins. NKJV: Whoever comes to Me, and hears My sayings and does them, I will show you whom he is like: He is like the man building a house, who dug deep and laid the foundation on the rock. And when the flood arose, the stream beat vehemently against that house, and could not shake it, for it was founded on the rock. But he who heard and did nothing is like a man who built a house on the earth without a foundation, against which the stream beat vehemently; and immediately it fell. And the ruin of that house was great. Jesus talked about obeying His word, the Bible, giving you a strong foundation. Obeying the Lord gives you a strong foundation of faith. Let me tell you a story. Once there was a beautiful young bird named Adalynn. 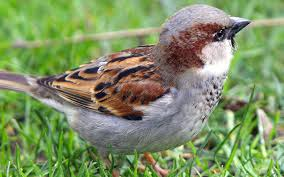 All young birds learn how to fly, what to eat, and how to build their nests from their parents. Adalynn’s parents made their nest very comfortable for their four chicks. Any time a fraction of the nest got damaged they immediately fixed it. Her parents were wonderful nest builders. Their nests could withstand high winds and not fall out of the tree. Adalynn’s parents were good teachers and instructed their chicks how to build strong nests. The chicks grew and it became time for them to leave their parent’s nest and build their own. Her siblings took time building their nests sleeping in their parents until their nests were strong, securely attached to the tree, safely hidden from view, and comfortable. Adalynn gathered random twigs for her nest, placing them haphazardly any which way. “Adalynn, you should weave the twigs together using hair, grass, and feathers and secure them to the tree. Then pad your nest with other soft materials and leaves. Remember how we showed you?” asked her mom. “That is too much work. 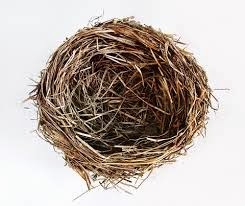 I like my nest the way it is.” answered Adalynn. “If you lay an egg there it will be difficult. You risk losing them or the nest falling apart especially in any light breeze. A strong wind will scatter them.” her dad insisted. Adalynn shrugged her shoulders and flew off in search of a worm. She was hungry and didn’t want to take time to worry about her nest. As you can imagine, her nest was doomed. 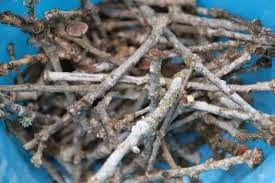 The wind dispersed the twigs all over the county leaving Adalynn homeless. Adalynn flew to her parents nest. Adalynn cuddled under her mom’s wing and fell in a weary sleep. The next day, she started a process that was marked by time, effort, and patience. She worked on her nest for many long days making it the best nest possible. Her parents were proud of her and glad she listened and obeyed instructions. Her nest withstood many storms for many years. Adalynn should have obeyed the instructions of her parents and built her nest the correct way in the beginning. This brings us back to the song I mentioned at the start of this lesson. When our Lord Jesus talked about building a house on a strong foundation, He taught that obeying Him made a strong foundation. Our lives should be built on obedience to God’s word. When we know and obey His word, the Bible, we will have a strong foundation. Then when trials, temptations, the Devil, or self-doubt comes our foundation is strong in the Lord. They can buffet us but we can remain firm and not crumble. Time and effort is what it takes to make a strong foundation. Start or strengthen your foundation today by reading and obeying God’s word. Memorize this in NLT up above or the NKJV here: Luke 6:48 a He is like the man building a house, who dug deep and laid the foundation on the rock. And when the flood arose, the stream beat vehemently against that house, and could not shake it, for it was founded on the rock.